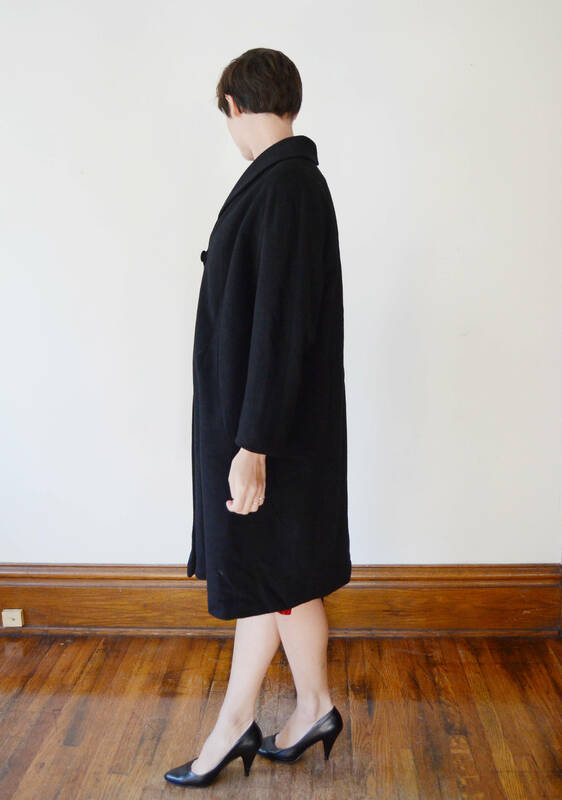 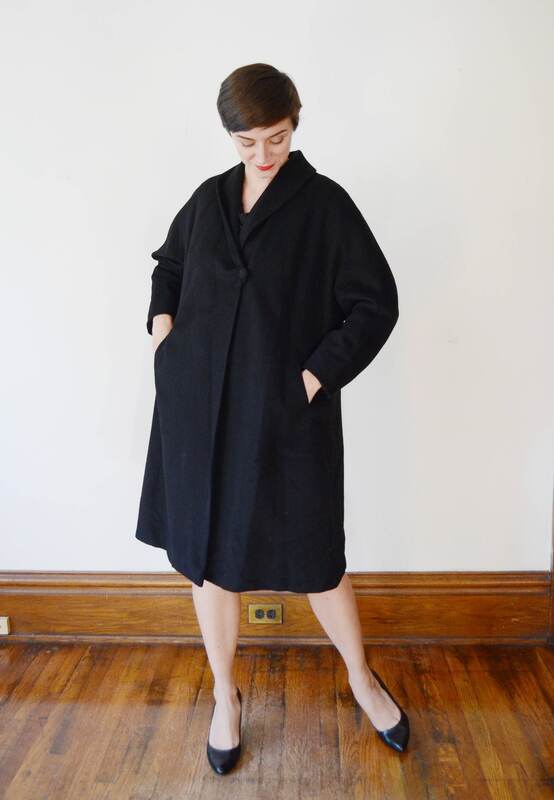 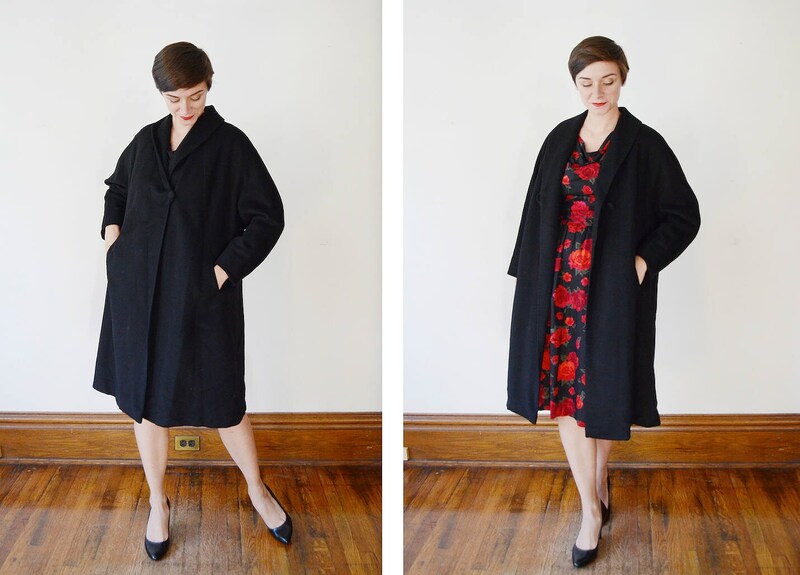 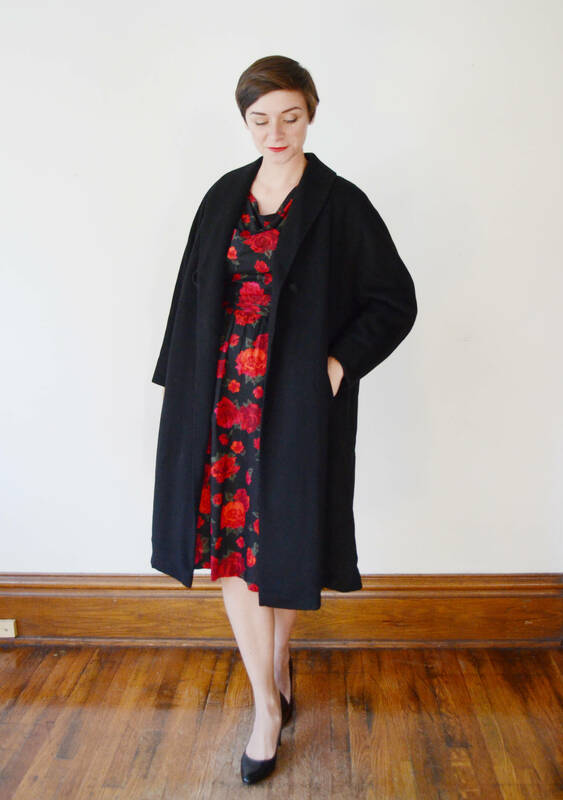 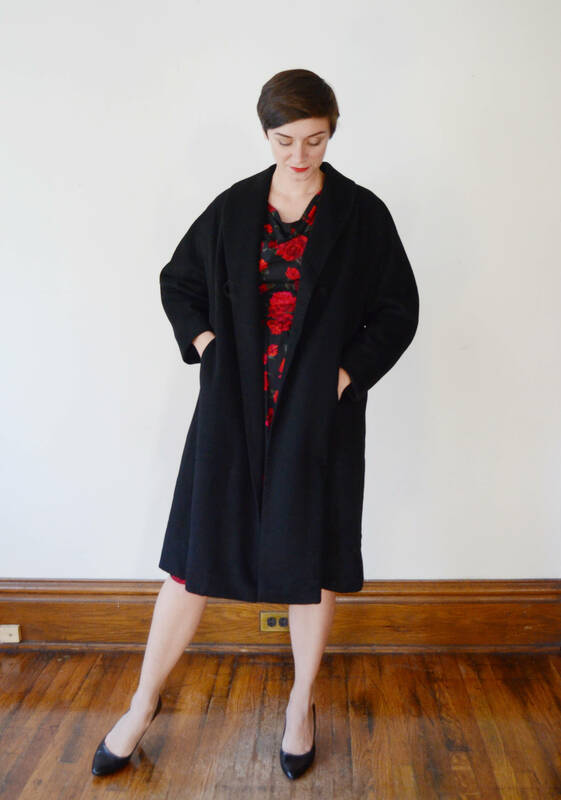 Description: A lovely simple black coat with hip pockets and one button closure on the front. 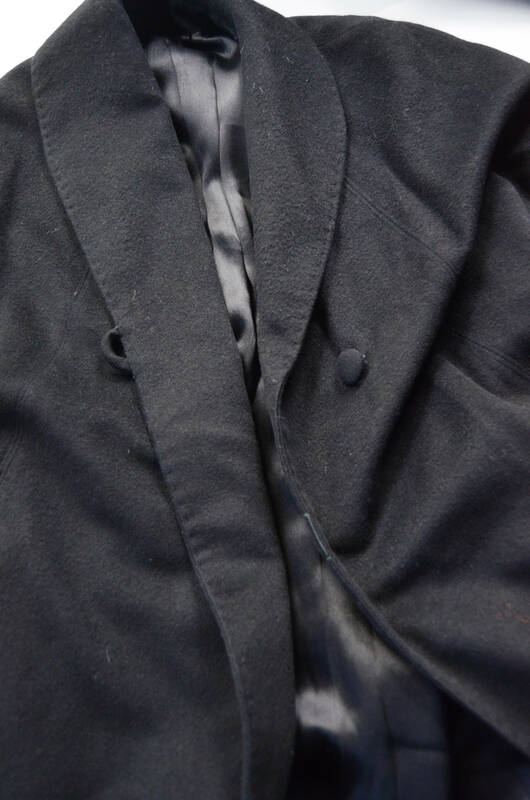 Piece is lined. 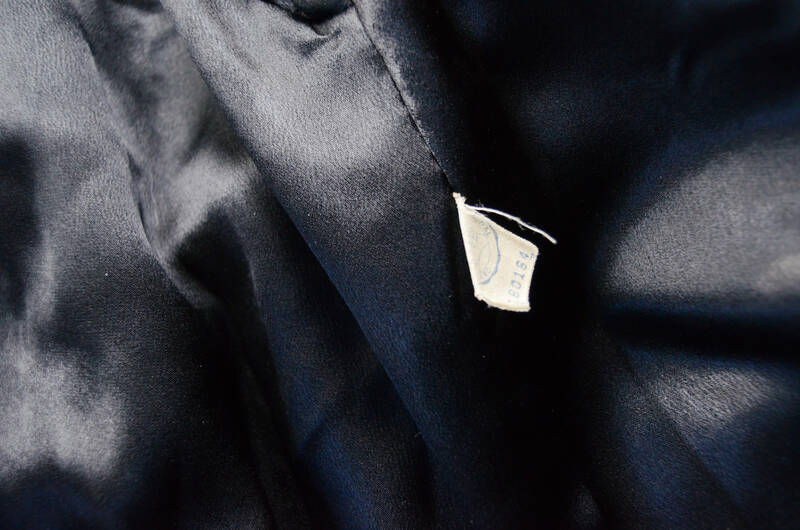 Fabric: Wool or blend, it is quite soft.